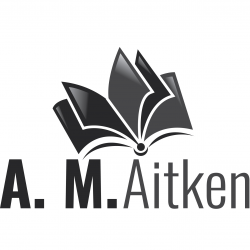 As soon as I started this book, I realised that it would be a light read and that the writing is aimed at the young, young adults. Maybe even middle school? The text uses straightforward and plain English to explain a quite complicated story (if you read more into it). As a child, I think I would only read the story of an underground world and not think – hey – why is there an underground world. DuPrau lightly sprinkles the reasons for the underground city of Ember during the story, which I quite enjoyed. The book follows two characters, Lina Mayfleet, and Doon Harrow. These two share parts in the story where we usually read Lina’s version of events first and follow Doon’s version second. The two intersect a lot as they work their way through a mystery that needs to be solved. I like Lina’s adventurous spirit and Doon’s curiosity. These are two traits I’d like my kids (one day) to share. We also have a kind-of bad guy, the Mayor Cole, who doesn’t like what Lina and Doon are up to. There are scatterings of other characters that serve a purpose, like Clary, who is the kind of sage motherly advice giver for Lina and Doon’s father, the role model for Doon. I liked how even the characters were in this book. None of them took up too much of the spotlight, and none of them seemed redundant. My first guess at a theme would be selfishness. Lina mentions this quite a few times, how selfish she was when she thought of only herself while she did or bought things. To be honest, I don’t like how blunt she was, but as a children’s story, I think it gets the point across. We also find out that other people in Ember are quite selfish. I don’t really want to ruin it, but if you put together the kind-of bad guy and this sentence, then you can work it out. My second theme that I’d like to discuss is the idea of life. What is life? Why do we live? In Ember, children are assigned jobs and told they have to stay with these jobs for life. 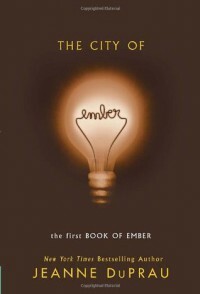 There is a heart to Ember, which keeps the lights glowing and the people safe. In this book, DuPrau discusses or gives a brief entry into life and life sources. If our sun were to stop today, would we still live like we’re living? What would we do? Luckily, in Ember, they have an answer to their problems. The third theme (because I’m already reading the second book), is the issue of war. DuPrau uses this theme sparingly in this book, but I’d just like to mention it because it’s quite relevant to today’s world. As an adult, you now question, why did they build Ember (that’s answered in book two)? What went wrong in the world? So, I gave this four stars, but just because I see it for children. There is a lot a child can learn from this book, even if their mind just plays with the amazing city underground. It’s an easy read and quite fun at times. I have seen the movie, and the movie doesn’t give the book justice. So, yes, you can buy an ebook or a used paperback of this book.